The American Heart Association recommends seven healthy habits that lower risk of heart disease. A large, long-term study shows that those that followed these steps also reduced their cancer risk. Recently-developed technology gives doctors a way to take a tour through a patient's colon in a virtual colonoscopy for a different-angled view. Exercise has plenty of physical benefits, but did you know it has plenty of mental health benefits too? The chemicals released during exercise can reduce stress, increase relaxation and hopefulness and lead to higher happiness levels. Researchers may have discovered a way to turn cancer cells into healthy cells by reactivating a single gene, a new study suggests. Prior studies have shown that the competency of your colonoscopy surgeon matters, and new research has shown that a new curriculum for junior surgery residents has increased safe and competent screenings. 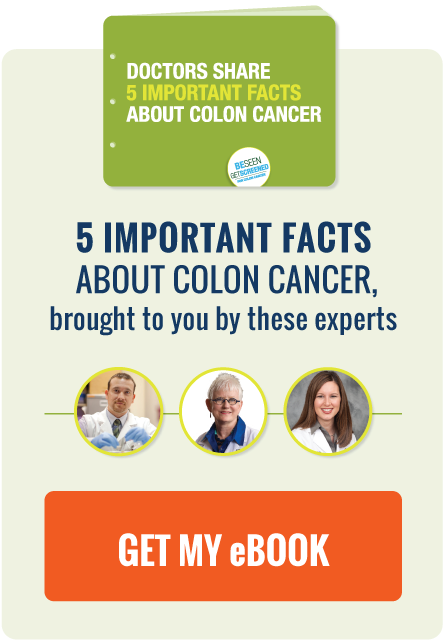 Colonoscopies are important for preventing colon cancer fatalities. But new research suggests that not all colonoscopies are created equal. Everybody knows that foods rich in vitamins are an important part of a healthy diet, but does anybody actually know why? The Affordable Care Act may have increased rates of colon cancer screening among poorer Americans, a new study suggests. In terms of health, men and women are not created equal. Some of the risks that threaten men do not happen as frequently to women, and this should be taken into consideration when approaching lifestyle strategies. African American individuals have higher risks of colon cancer than any other racial group. To address this issue, the Colon Cancer Alliance has teamed up with the National Black Church Initiative, a coalition of more than 34,000 African American and Latino churches, to fight the high rates of colon cancer in African American communities. Vegetarianism is linked to a lower risk for colon cancer, a new study suggests. On June 1st, Colon Cancer Alliance launched a Facebook group: Blue Hope Nation – A Colon Cancer Alliance Community. And the group is exactly what the title suggests - a community for those affected in some way by colon cancer; a place to find hope, support, and comfort. Racial minorities may be less likely to get colon cancer screenings because their healthcare providers are not recommending the potentially life-saving test, a new study suggests.